Back in 1984, the album Identity by Zee was released. 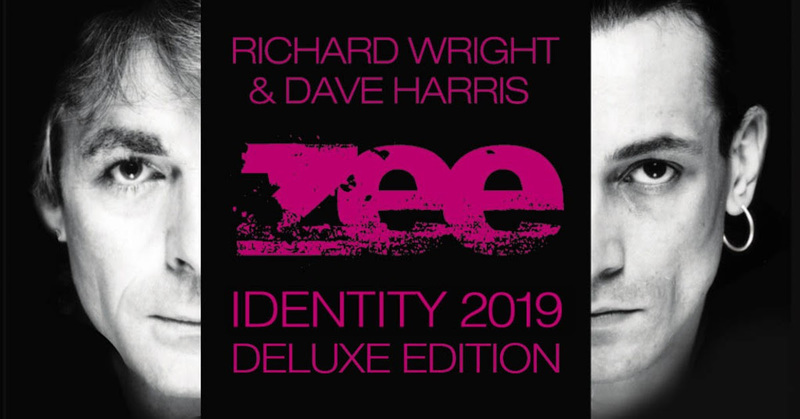 Zee was a partnership between Richard Wright and Dave Harris (who had just left the band Fashion when Richard met him at a rehearsal studio in Battersea, London). Identity was recorded at Richard's home studio in September 1982, and six months later, overdubs were done at London's Utopia Studios. The album utilises the Fairlight computer, which could emulate the sound of any instrument. Richard noted: "We spent hours and hours just experimenting with it at first. The great thing about the Fairlight is that every time you go back to it you learn something else. We had to get control over it though because it would have been very easy just to have ended up making funny noises. We spent several weeks sequencing and scripting everything but it was all worth it in the end. "For me it is exciting working with Dave because there were things that he was doing that I had not done before and vice versa. I think that Zee has given us musical opportunities that quite frankly neither of us were able to explore in our previous groups." After being out of print for many years, the album has recently been remastered, and is being released this year in a variety of formats, all of which include bonus tracks. Orders are now being accepted via Burning Shed where you can buy the deluxe box set (which includes a second CD of unreleased mixes and demos, lyric book, reproduction promo photos and press release, and is signed by Dave Harris), the CD with bonus tracks, in a choice of packaging, and a choice of signed/unsigned, plus a variety of posters (again, signed if you wish). Orders were being taken at PledgeMusic.com but now Burning Shed are offering these signed and limited editions, you may choose to use them instead.